before i continue writing about my weekend, i want to show you all a beautiful scene from my town. the reason i was able to have such a wonderful long weekend, was because of the remembrance of memorial day. a church near my house put out this wonderful display a few weeks ago. 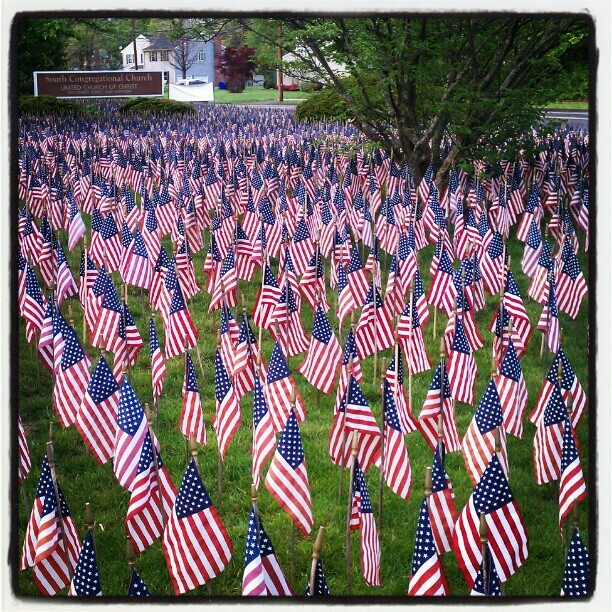 each flag represents a soldier who died in active service in afghanistan or iraq. the first time i saw this display, it literally took my breath away. 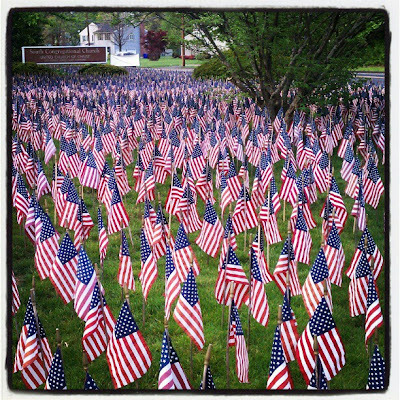 thank you to all of the servicemen and women who have given their lives for our country. and thank you to all of those who serve today. 3 summers ago, during my summer spent in luxembourg, i visited the luxembourg-american cemetery near luxembourg city on memorial day. it is a world war ii cemetery where many soldiers who were killed in the battle of the bulge are buried. general george patton is also buried there. the flowers at the cemetery for memorial day were so beautiful. a year later, while i studied in paris, i spent memorial day in normandy. this memory was a bit closer to me, personally, because my uncle died on d-day. my dad is named after him, and he has never been there, so it was beautiful to take photos and show them to him.